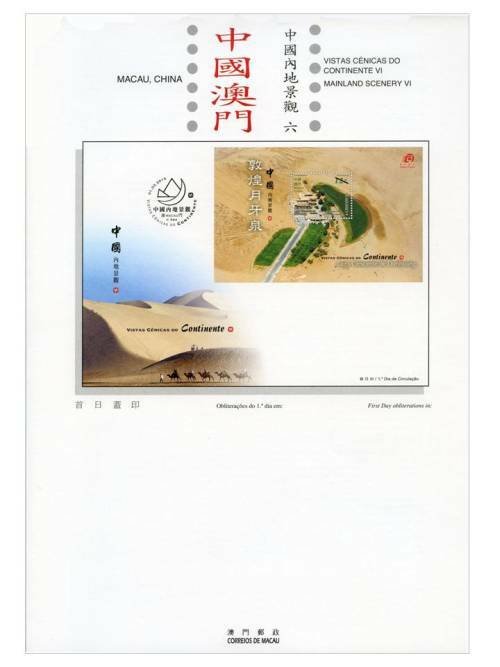 Macao Post will release the sixth issue of souvenir sheet series “Mainland Scenery” on 1st March, 2015, Crescent Lake in Dunhuang as the theme of this issue, which is known as the “First Desert Spring under Heaven”. 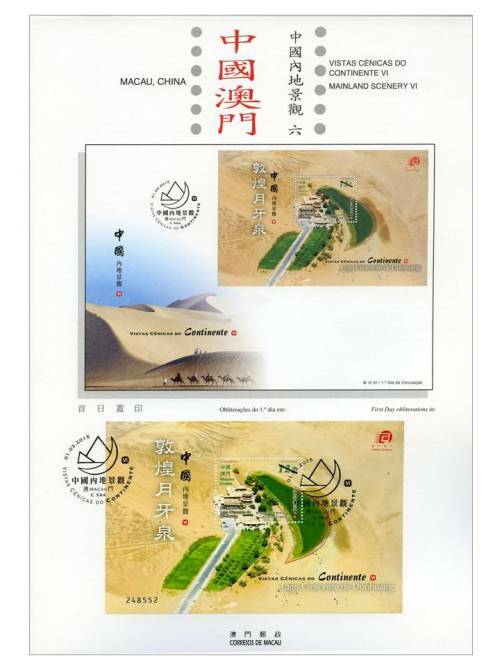 Crescent Lake in Mount Mingsha located about 5 kilometres southwest of Dunhuang City in Gansu Province, is classified as the National 4A Grade Scenic Spot. Crescent Lake is embraced by Mount Mingsha and was named after its crescent-like shape. Due to its topography, the sand does not move down the slope when wind blows. Instead, it moves up the slope and so Crescent Lake will never be buried by the sand. 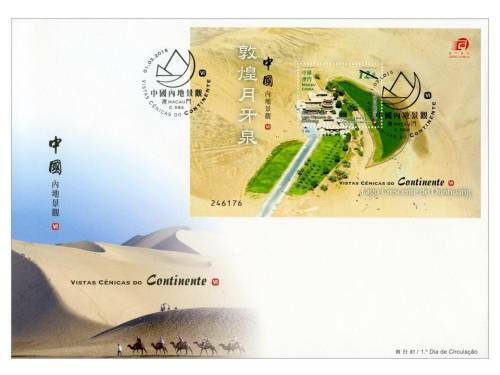 Since the Han Dynasty, it has been one of the “Eight Scenes of Dunhuang” and was given the moniker the “Crescent Moon Spring”. 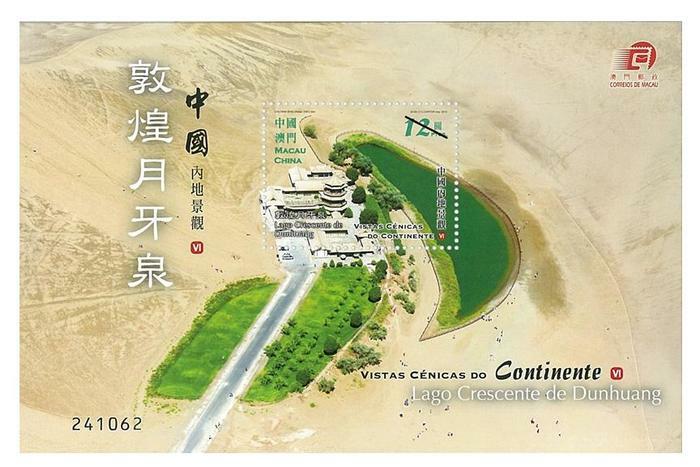 The image shown on the first day cover is the Mount Mingsha, is situated at the edge of the Tengger Desert, starting at the cliff top of the Mogao Caves in the east and ending at the Danghe Reservoir in the west, covering a total length of around 40 kilometres and an area of about 200 square kilometers, which is located about 7 kilometres south of Dunhuang City. Mount Mingsha also known as Shensha Mount or Shajiao Mount, the Singing-Sand Mount – is named after the echoing sound of the moving sand. This is the fourth issue in 2015. 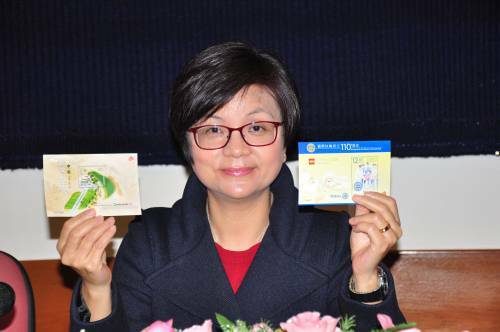 The previous issued stamps are “Lunar Year of the Goat” on 05/01/2015 and the label stamp “Lunar Year of the Goat” on 28/01/2015. The stamp “110th Anniversary of Rotary International” to be issued on 16/02/2015.